This year WAYJO is visiting our regional centres not once, but twice, with the Monday and Tuesday Night Orchestras both boarding the bus and hitting the road. 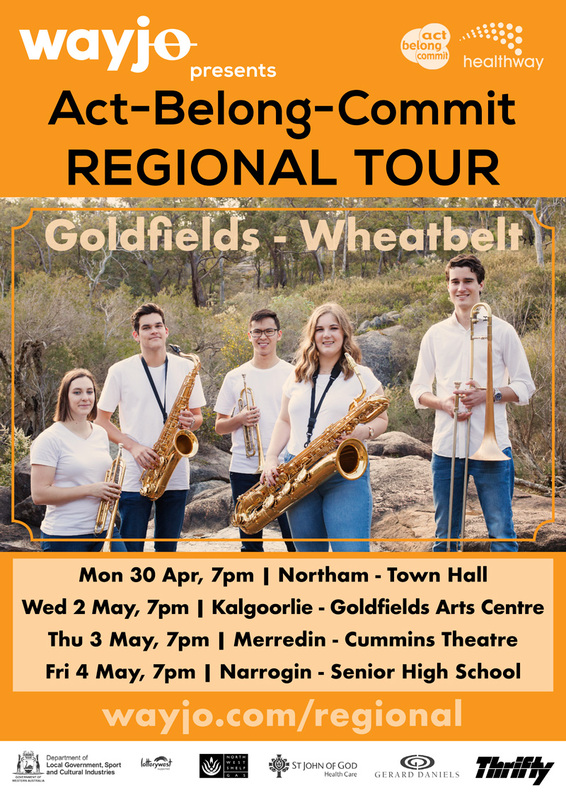 In 2018 the Monday Night Orchestra will be visiting Northam, Kalgoorlie, Merredin and Narrogin on our Goldfields-Wheatbelt Tour, from the 30th of April to the 5th of May. 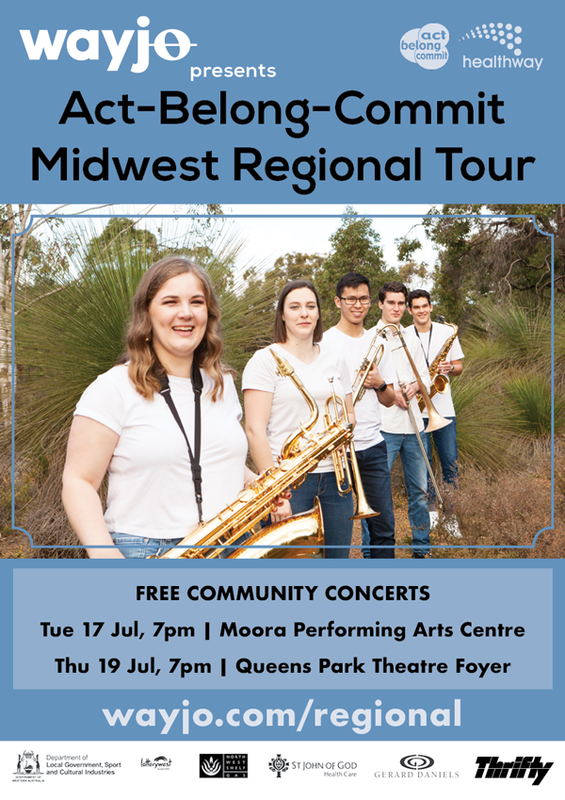 This tour will provide workshops for 6 schools, 4 community concerts, plus a visit to Edward Collick Nursing home in Kalgoorlie. In July, the Tuesday Night Orchestra will be escaping the winter blues to head north and following the sunshine in a packed tour through the Midwest. From the 17th to the 20th of July, WAYJO be visiting Moora, Dongara and Geraldton. WAYJO are bringing big band jazz to schools and free community events, as well as visiting St John of God Hospital in Geraldton in support of our long-standing major partner St John of God Healthcare. WAYJO’s Education Program is supported by Healthway promoting the Act-Belong-Commit message. WAYJO’s Regional Tour Transport proudly supplied by Thrifty.